Chris’s Sign Service was created by owner Chris Davies in 1990, after seeing the need in the industry for efficient and friendly sign service and maintenance. 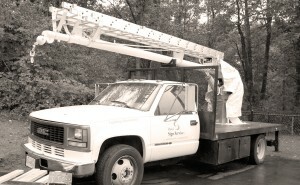 He started out the business with just one service truck, and the drive and determination to provide the best service and prices in the sign maintenance industry. Today, over 20 years later, Chris’s Sign Service has a staff of over 20 employees and has contracts with clients such as: CIBC, McDonalds, Tim Hortons and Starbucks. We operate throughout British Columbia, with many of our service contracts in the Lower Mainland; Abbotsford, Clearbrook, Coquitlam, Port Coquitlam,Delta, Langley, Maple Ridge, Pitt Meadows, Port Moody, Surrey, Richmond, Vancouver, North Vancouver, West Vancouver etc. We also service customers in the interior of BC. Our sister company, Westcan Lighting, provides service to our clients in Alberta. Westcan Lighting is co-owned and managed by business partner, John Thomasen. Techs installed banners and they look good. The awning is clean and all is good. Tech fixed all issues as well as one that she didn’t believe could be fixed! No further issues the tech was friendly and competent. 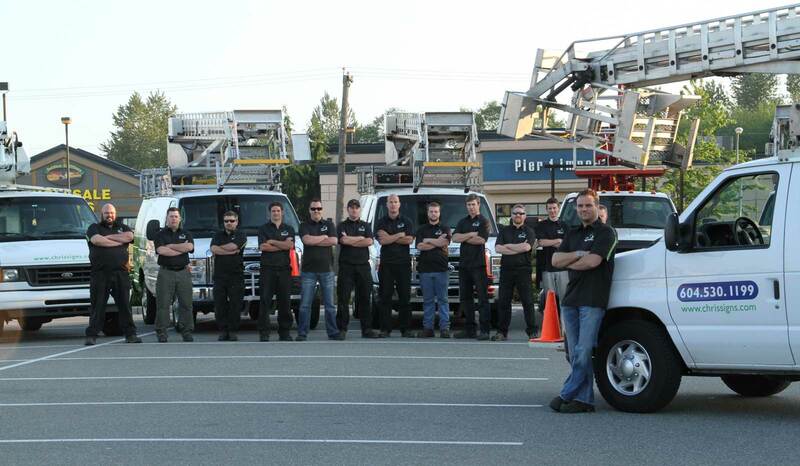 The tech worked quickly to replace the lights we are very pleased with the service call from you! The techs were prompt and punctual. Our problems were quickly resolved! Everything went very well. The tech was very polite and professional. Great work! Our service call went very well, he loves the lights, the techs were friendly and we loves Chris’s Sign Service! Your techs were friendly and informative. They did good work and the lights all work now. Fast and professional. The cost of their service is very reasonable. I’m always happy with their service. Always very friendly and knowledgeable!